If you’ll be attending the Healthcare Information and Management Systems Society conference (HIMSS19) in Orlando next week, please come and see us on Wednesday, February 13 at 5 p.m. in the HPE Booth Theater. We’ll be presenting exciting research from two initiatives, the Stanford Living Heart Project and the NIMHANS Brain Neuromodulation Project, which highlight the great promise of cloud computing in healthcare. Jean-Luc Assor of Hewlett Packard Enterprise will discuss the company’s Hybrid HPC strategy. Karl D’Souza from the Dassault Living Heart Project will speak about the Stanford Living Heart Project and the NIMHANS Brain Neuromodulation Project. Wolfgang Gentzsch of UberCloud will talk about how HPE’s Hybrid HPC stack, which includes UberCloud’s HPC container technology, enabled both of these life science use cases. Sponsored by Hewlett Packard Enterprise, the Living Heart Project was conducted at the Living Matter Laboratory of Stanford University. The project team included members from Dassault SIMULIA, Advania Data Centers, and UberClould. Shorter time to market: Conducting tests on animals and humans usually takes years. Conducting simulations via HPC-powered software significantly decreases that time--in some cases from years to days. Thus safer drugs can be brought to market more quickly. Greater certainty of safety: Due to anatomical differences between animals and humans, animal testing yields only a 75-85% accuracy rate. Simulations offer much greater accuracy. 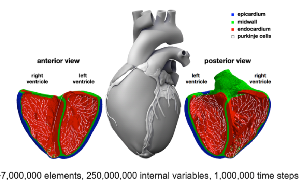 Using advanced electro-physiological modeling, the team built a novel Living Heart Model (LHM) to evaluate the risk that a specific drug would cause a cardiac arrhythmia. During the final phase of the project, the simulation included 250,000,000 internal variables, using 7.5 million geometry cells. Treating schizophrenia is often complicated and risky for several reasons. A successful treatment approach usually includes a combination of medication and therapy, and is highly personalized for each patient. More invasive treatments like Deep Brain Stimulation (DBS) come with risk for serious medical complications, including stroke and cerebrospinal fluid (CSF) leaking. Sponsored by Hewlett Packard Enterprise and Intel, the Brain Neuromodulation Project was a collaborative effort from members of the National Institute of Mental Health and Neuro Sciences in India (NIMHANS), Dassault SIMULIA, Advania Data Centers, and UberCloud. 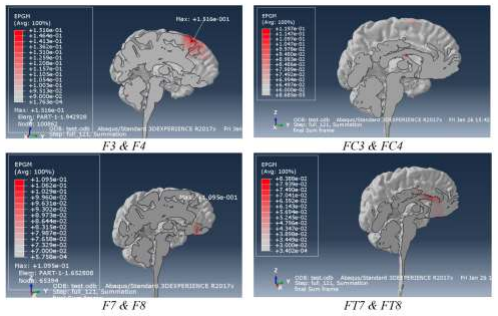 Team members used computer simulations to evaluate the potential of a new, non-invasive treatment, transcranial Direct Current Stimulation (tDCS), which requires the identification of proper electrode placement for each individual patient. 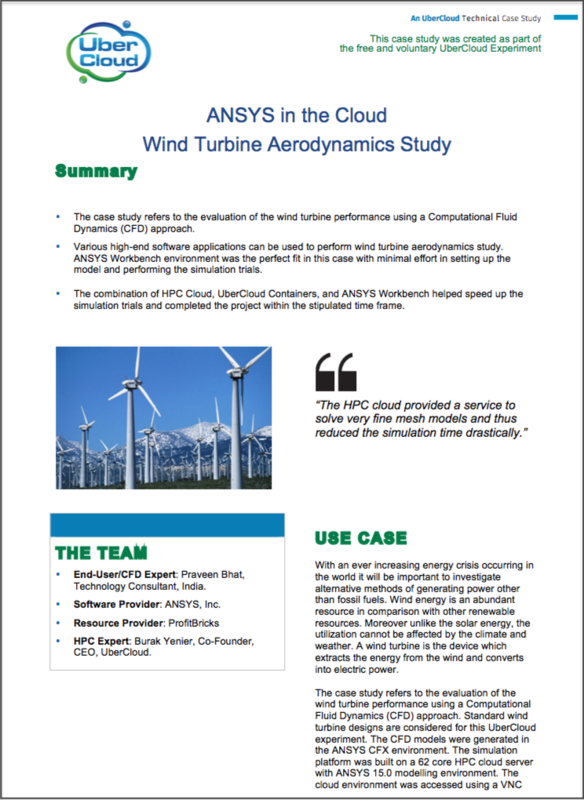 By implementing a cloud-based simulation, the team cut processing time in half. In the future, using this approach will make it possible to conduct many different electrode placement simulations in parallel, so eventually these searches can be conducted in (almost) real time.